The PCL-18B is a support beam that connects two mobile lift columns. When activated, the beam’s extended frame cradles engage the vehicle at the manufacturer-recommended lift points. Be sure to line up the columns at the correct lift points. 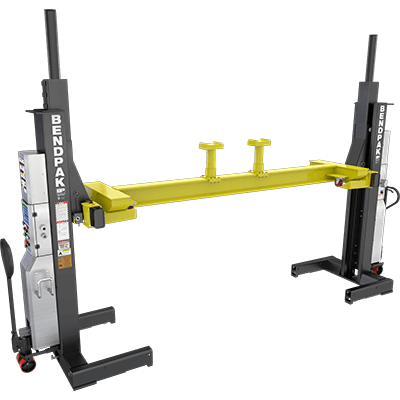 Ideal for lifting and servicing school buses and other super-long and heavy vehicle types. (4) cross beams lift up to 32,659-kg.